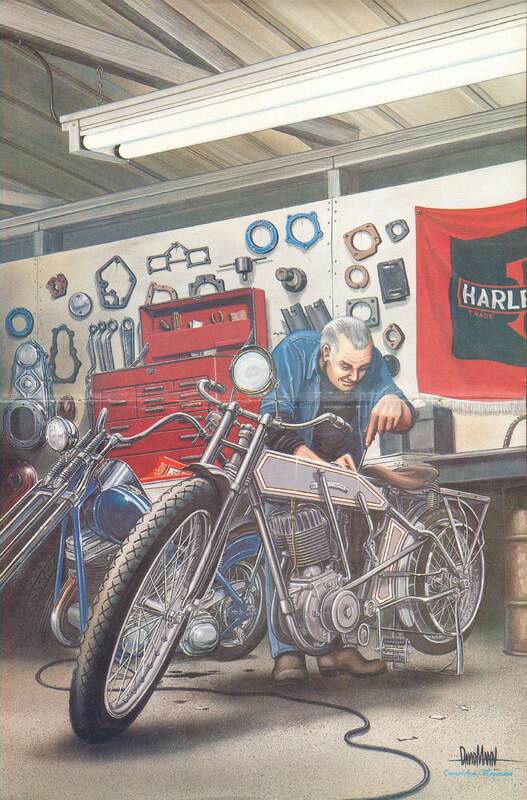 It's many a biker's dream to retire to the comfort of a well-equipped shop and work on vintage Harleys. 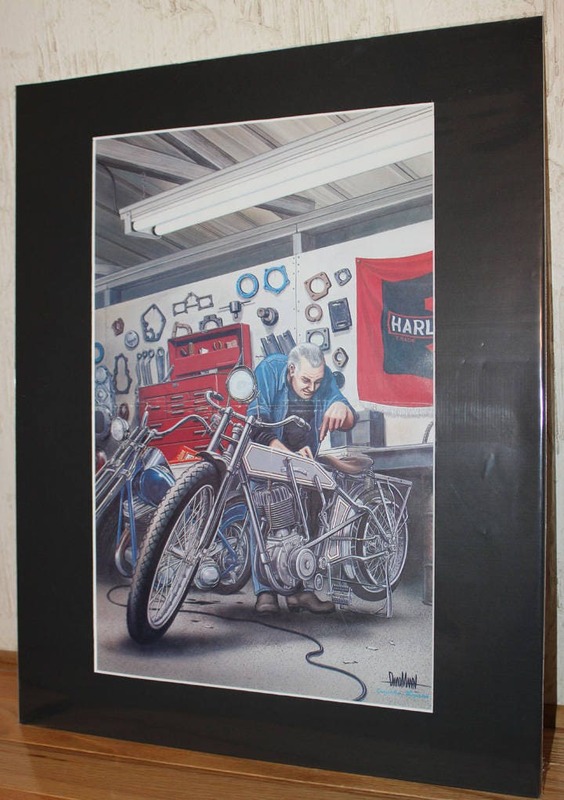 David's inspiration for this piece was a friend's actual shop garage. Part of that dream is getting to work on a piece of Harley yesteryear, like this featured flathead. Its springer front end, single-post rigid frame and rubber belt drive were quite the look in their day; springers and rigids ever went out of style, as evidenced by the panhead in the background, and a belt drive could have been added to it as well. The dual-tubed frame replaced the single post out a need for supporting increased cubic inches, and the tank shift eventually gave way to a jockey shift. Notice the flathead's footpedals, they were replaced by a kickstart, but in the early 1900s, they were for getting you rolling. Stopping was another affair altogether, an action relegated to the rear brake lever located behind the tank shift lever. And while single-armed kickstands may today give improvved looks and style to a Harley, it was a lot easier to change a flat on a flathead than it will ever be to do so on a modern-day machine.